Assault on the Judiciary in Poland — Just Atonement Inc.
Two powerful aspects of our modern era, above all others, have proven themselves to be bulwarks against what might otherwise become immeasurable human suffering: stable democracies and stable economies. When a nation establishes itself as a reasonably transparent collective of leaders who are chosen by the citizenry, stability and predictability tend to follow. This stability supports the growth and regulation of a financial system that accounts for the needs and the productive capacity of the nation’s people and its natural resources. There are no real surprises here: Democracy is good for people, good for nations, and beneficial for the neighbors of both individuals and democratic states. But as we know, democracy is fragile. Some systems are self-sustaining, and once put into motion, they reinforce themselves as time goes by. But others are not self-sustaining, and they require continual pressure from inside and out in order to stand firm against the pull of entropy. Unfortunately, democratic systems of government—our best protection against hunger, disease, injustice and civil chaos—fall into the second category. Democracy works. But it does not work without the constant application of pressure and participation from every direction. And as we’ve learned over time, a few common signals indicate cracks and signs of trouble that must be addressed if democratic systems are to survive. These include authoritarian assaults on 1) the media and free press, 2) justice for political dissidents, 3) separation of religious institutions from state institutions, and 4) the independence of the judiciary. Right now in Poland, a full scale attack on judicial independence is underway. On Tuesday night at midnight, a law went into effect mandating that all Supreme Court Justices over age 65 must retire immediately. This effectively removes 27 of the country’s 72 judges from the bench. The government, led by Prime Minister Mateusz Morawiecki, asserts that these measures are necessary. Speaking to the parliament of the European Union on Wednesday, Morawieki insisted that the Polish government (and all governments of EU member nations) have the “right to shape their legal systems according to their own traditions”. But many have identified this move as a straightforward attempt by the ruling party to gain control over the judiciary. On Wednesday morning, all 27 purged justices showed up for work. They were not prevented from entering the building. "This is a watershed moment for the Polish judiciary and indeed for the whole political system," said Piotr Buras, head of a think tank called the Warsaw office of the European Council on Foreign Relations (ECFR). 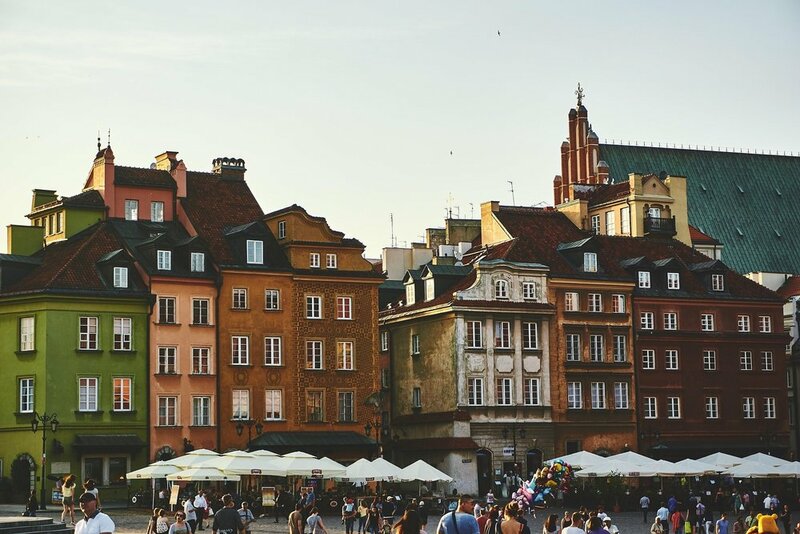 "It may have some very far-reaching consequences and implications for further political development in Poland." On Wednesday morning and into Thursday of last week, chaos seemed to prevail as supporters cheered the defiant justices. We will be watching developments in Poland over the next few weeks with our attention fixed, as always, on democratic principles and applications unfolding in real time. Only by learning from history can we avoid repeating it, and we learn by staying alert as our lessons become available. Older PostWhat will Become of Us?